After careful evaluation of the market and customer needs, we have developed a range of products which are designed to help you understand the efficiency of your digital properties, enabling you to set clearer targets and to realistically benchmark your brand along others in the same category. We conduct an audit of your brands’ digital footprint, the reach, the sentiment and competitor analysis. We then construct, through a workshop or presentation, a road map for you and your brand to fill in the gaps and take advantage of insights. The Grid has been broken down into modules which enable you to drill down into one particular area of competency, or to analyse an entire brands’ digital footprint using customised metrics and benchmarking against competitors and others in the same sector. SEO including copy, headers, tags, images structure and naming conventions. Contribution to the entire network and matrix of information sharing in order to maintain and grow external links and reputation management. 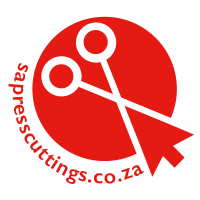 Through extensive research and development, SA Press offers the use of our exclusive algorithm to work out values of engagement, average expected reach and engagement and benchmarks against similar brands in the same sector. Based on the research above we produce an intuitive channel map and plan going forward. We then construct, through a workshop or presentation, a road map to fill in the gaps and take advantage of insights gathered. We introduce techniques to curate and develop original content to keep your channels fresh and your audience engaged. To take advantage of any or all of these modules, please contact SA Press today and we will put together a package tailored to your needs.